Home » Do You Have Referrals? Our business has been built from industry referrals. The aviation industry is close-knit, and failure has not been an option for us. Our goal is to exceed our client’s expectations in hopes of gaining their long-term business and recommendations. 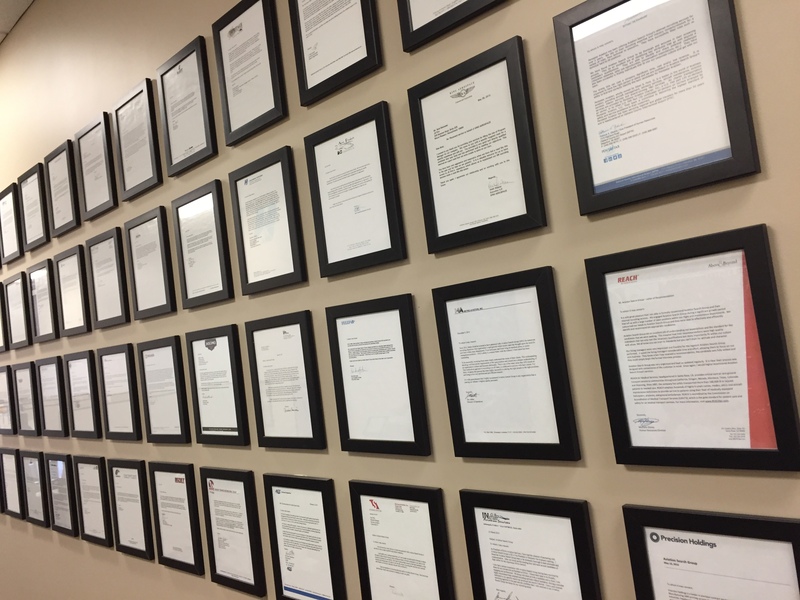 We have an entire wall of framed letters of recommendation from our clients that we walk past every morning. This continues to motivate and remind us that we are supporting our clients and helping them succeed by finding the best people. We are very proud of our service, our employees and our culture. This breeds constant success at the client level. Upon request, and in respect for our existing clients, Aviation Search Group will set up conference calls or share letters of recommendation. "I found their team to be friendly, engaging and professional. Working with them as both a candidate and a client, I can highly recommend their retained recruiting services without hesitation." - Roger Messick, President, INAir Aviation Services, Inc.
"Without hesitation I would strongly recommend Aviation Search Group for your hiring needs. You will not be disappointed with your experience and the end result. These guys are the real deal and we will use them again in the future without a doubt." - Heather Jean, Director of HR, Heritage Aviation Inc.
"Through their efforts and dedication we were able to add a key member to our team who not only met the technical qualifications, but is a great cultural fit as well. Without hesitation, I highly recommend Aviation Search Group as an expert partner for your outsourced staffing needs." "While maintaining excellent communication throughout the search, the team at ASG executed their sourcing strategy and presented qualified candidates which allowed our executive team to quickly close in on our solution." "They uncovered the marketplace and made recommendations based on not only the technical skills, but a fit with our culture as well. Throughout the process they were in close communication with ProJet management and were successful in finding us our solution." "Our hiring managers were very impressed and thankful for the legwork Aviation Search Group performed. It saved the hiring managers considerable time and effort, allowing them to focus on our core business. They knew when they received a recommendation, the candidate was fully vetted and they could simply begin the formal interview process."